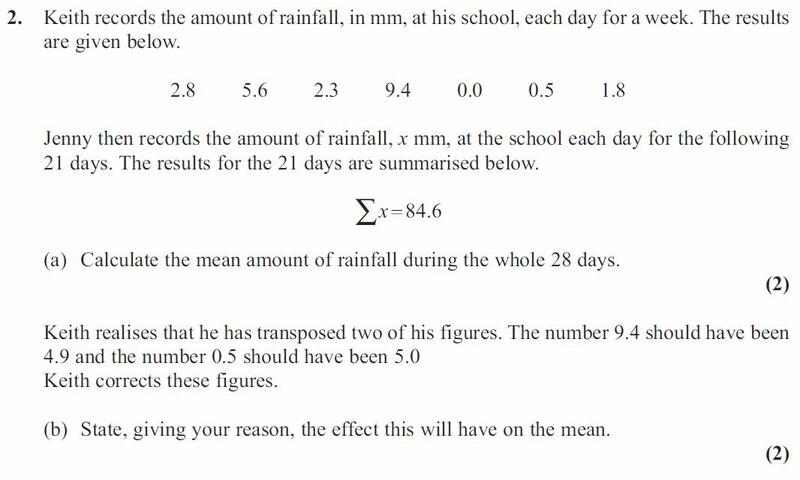 The following questions are taken from Edexcel exams. Please click on a thumbnail to view an image in its full size. Medians and Quartiles – Three worksheets with questions on finding the median, quartiles, deciles and percentiles from raw data and discrete and grouped frequency tables. Aimed at AS level students. Averages from Raw Data. Starter worksheet. Revision of finding the mean, median, mode and range from raw data. Includes answers. Aimed at KS3 students. frequency-tables-and-frequency-diagrams-basic2.doc – Grouping data, using tally and drawing frequency diagrams. Speed-up worksheet on discrete and grouped frequency tables – Excel spreadsheet on finding the mean from frequency tables, featuring the answers to this activity. Nice for use with a SmartBoard. 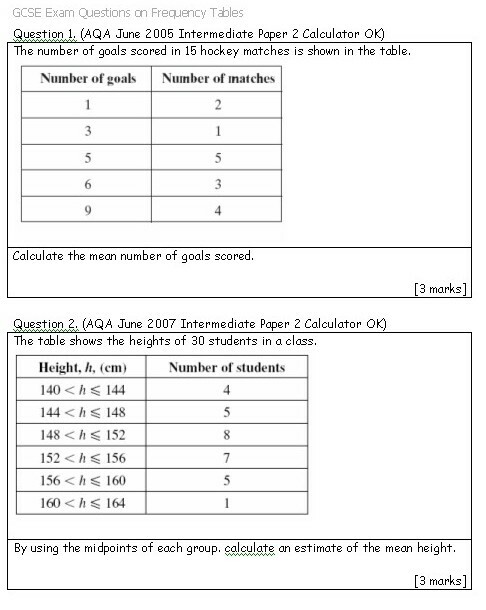 GCSE Exam Questions on Frequency Tables – a worksheet with 15 exam questions on finding the mean, median and mode from discrete and grouped frequency tables. Space is included on the sheet for pupils to write in their answers. A snapshot of the first page is below.